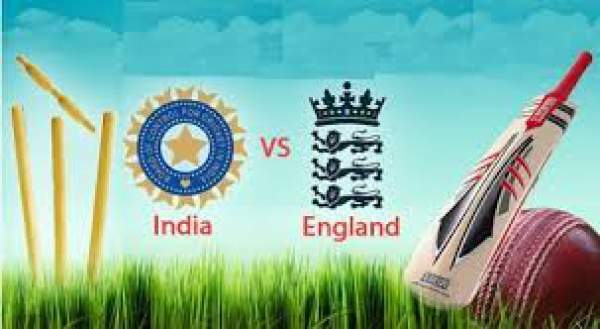 India vs England Live Score 1st Test Live Cricket Streaming IND vs ENG Match Preview Prediction 9th November 2016: The English team has won all the last three series against the Men in Blue. Today, both the teams are going to start their first test series from Wednesday. The side led by Virat Kohli is obviously the favorites, but it will be interesting to see how the team fares in the first test game and eventually the series. Under Virat’s captaincy, India has been triumphant in the last four series. Out of those four, two were the strong teams like South Africa and New Zealand. Thus, it is quite clear why Indian cricket team is favorite against England. England, fast bowler Stuart Broad, consider his team as the underdogs in front of India as the men in blue have got the World No. 1 ranking and have been playing some exciting cricket in the recent times. It will be a huge challenge for them. Broad is going to play his 100th test of his international career. England will have to be excellent while facing the spin bowling as it has been the strength of India in the last couple of matches. In particular, R Ashwin has proved to be the highest wicket taker in the last victories. Ravindra Jadeja is also performing well. Thus, it will be a tough challenge for them to win the first Test match. Indian bowling department looks good; it’s the batting format which needs to improve a little more. Gautam Gambhir will come to play the second test after a long break, and it will be the most-awaited comeback for him. Also, the 6th place is still not decided who’s going to fill it. If England bowlers including spinners and pacers stick to the line and don’t allow batsmen to score runs, then only they can put up pressure on the Indian batsmen. This way, they can cause the batting line up to the collapse. They will need to break each and every partnership as a single good partnership can bat England out of the game. Thus, consistency will be the key to winning. Indian vice-captain Ajinkya Rahane said that playing against English side will be quite a challenge. They have a decent batting lineup. They are quite experienced players. Only their spinners are little inexperienced. It will not be fair to consider them underdogs as anything can happen in cricket. “It will be better for us to focus on our strengths and capabilities and play to the best of our potential. I am expecting it to go as a good series,” Rahane added. The first test will let us know what to expect from the series and how competitive it would be for both the teams. Let’s hope for a couple of outstanding batting, bowling, and brilliant catches. IND vs ENG is set to start at 9.30am IST (4 am BST, 11 pm ET previous day). India: TV: Star Sports 1, HD1 and Star Sports 3, HD3. Live Streaming: Hotstar. New Zealand: TV: Sky Sport 2. Live Streaming: Sky Go NZ.